We all love marketing…when it’s successful. The second we stop seeing results, it’s tough to fight the urge to throw in the towel. Unfortunately in real estate, marketing isn’t optional it’s a necessity. Fortunately, if you aren’t generating real estate leads through Facebook, you’re probably making one (or more) of the following common mistakes. Why is that fortunate? Because your mistakes are easy to fix! We’re not only going to help you see the error of your ways, but steer you toward a more successful Facebook lead generation campaign. Creating content without a lead capture form is where many agents go wrong. Yes, great content is important for lead generation, but why give it away for free? Keep in mind that the end goal of your lead generation efforts is to gather that all important contact information so that you can reach out, nurture the relationship and ultimately convert a lead to a satisfied customer. All this begins with the lead capture form. This is one feature of our product, PropertyPulse, that helps agents consistently generate new leads. Try your 30-day trial of PropertyPulse today! In life outside the Internet, think about people you know who constantly have the attention of others. From sharing funny stories to educating them on a new trend, these people are engaging! This is what you should aspire to replicate for your online presence. No one gravitates toward the person who tells the same old story all the time and shuts people out from really getting to know and like them. Be conversational in your tone and come across as a real person rather than a business. Studies have shown that visual content is shared most often on Facebook. Infographics, memes and client success photos are ideal ways to do this. Not sure where to start? We’ve created 10 Facebook posts for you to try out!Generate more traffic to your Facebook page and website with these 10 Facebook posts. Imagine rounding up all your prospects, getting them in one room and then not telling them why you brought them there or what to do next. Mass chaos would ensue! Minimize this same confusion online by telling your leads the action you want them to take. It might mean asking them to fill out a form to get more information or sending you an email to see newly listed homes in the area. Whatever your message, keep it strong and consider the end goal once again – capture that lead contact info! Ideally, the most effective lead generating CTAs bring the visitor to your website and then require a lead generation form submission. As a follow-up from our last point, if your FB fans and followers aren’t landing on your site, it’s unlikely there will be a conversion. In addition to lead capture forms, blogs posts are a great way to get eyes on your website. With lead generation in mind, use calls-to action that encourage readers to subscribe to your blog. Now you’ve got their email address and their permission to send them your great content. Use your Facebook persona to build trust and the foundation of your relationship with leads and then start bringing them to your website so they can learn more about you and ultimately form fill and do business with you. With these directives in mind, you’ll save time by cutting out the clutter and solely focusing on your lead generation goals. 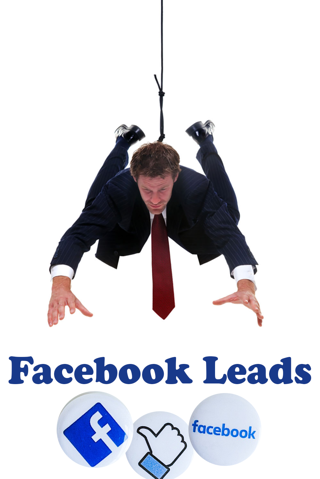 Ready to start generating Facebook leads? Download our 10 free engaging posts now!